Patrons with gluten sensitivity are looking at your menu for GLUTEN-FREE options that taste great. We make it easier than ever to capture your share of this growing market. 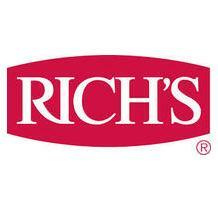 When it comes to pizza, Rich’s® portfolio of GLUTEN-FREE crusts is the essential foundation of an amazing GLUTEN-FREE pizza menu.